In the navigation pane, select a database. 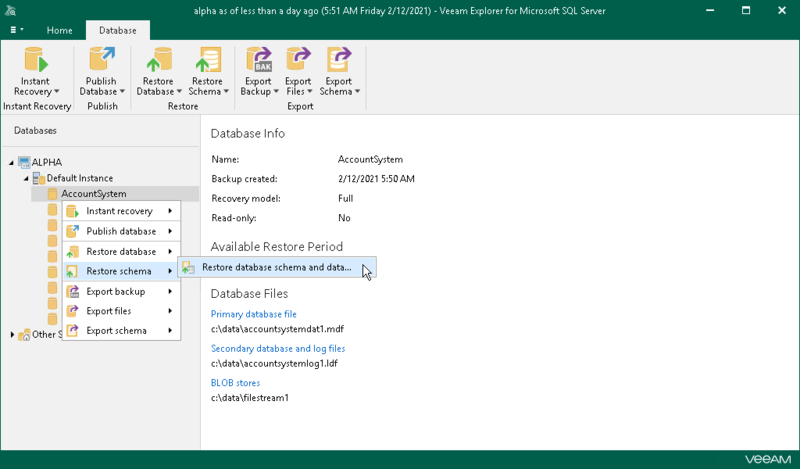 On the Database tab, select Restore Schema > Restore database schema and data or right-click a database and select Restore schema > Restore database schema and data. FILESTREAM must be enabled on a staging SQL server to restore file tables. For more information on enabling FILESTREAM, see this Microsoft article.